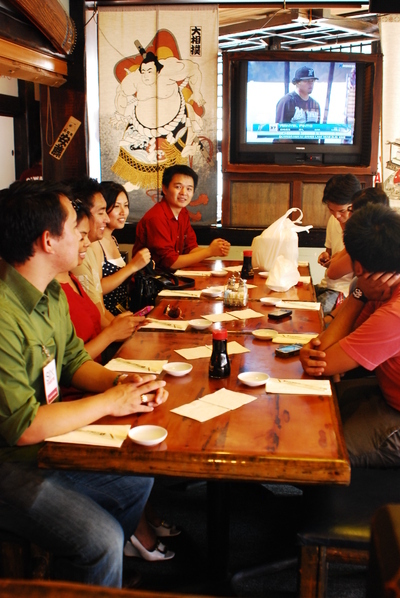 last week sunday I was invited to join in on a food tour in Little Tokyo put on by Six Taste. Six Taste is a company owned by young entrepreneurs Alex Tao and Jeff Okita. Jeff originally from Davis California as well as being a recent USC graduate, and Alex a Virginia native and student close to graduation at USC. Their Company is called Six Taste, and interesting name with and cool story behind it. I asked Jeff if he could enlighten me as to how they came up with the name Six Taste. He told me that there are five known taste, bitter, salty, sweet, sour and savory. 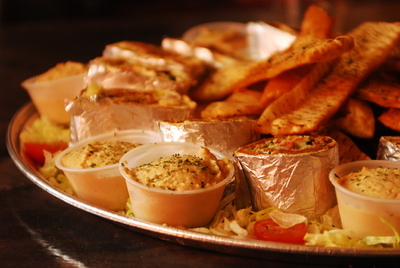 Through food tours and exploration of food a sixth taste just might be discovered. 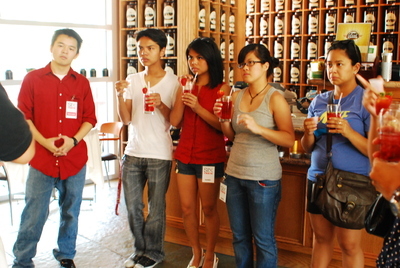 Six Taste is a rather new company and currently offers two tours. 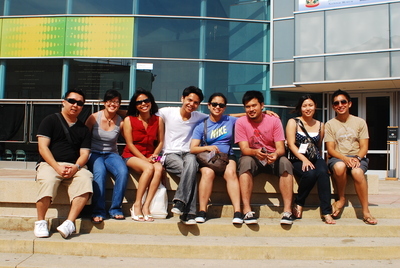 A tour for $25 which includes 4 stops and food samples from each stop, this is the tour I participated on, and you wont leave hungry. They have a longer $55 tour which last 3 1/2 hours compared to the 2 hour $25 tour. We met in front of the Japanese American National Museum, and after brief introductions we went to our first stop the Chado Tea Room, which is located inside the museum. We where able to hear an overview of Chado as well as sample various types of hot and cold tea all of which I liked (I'm a big tea person). Chado Tea has a great assortment of teas on stock, they smell great and taste great, so be sure to check them out sometime. The next stop was Spitz Cafe, a very cool place that I have never been to before. It is home of the doner kebab, which is a special way of roasting lamb. Here we got to try the great food and hear the story behind the business. They have another location in Eagle Rock, which is near Pasadena. I really liked how the owner came out and talked to us, it sorta made me feel like I was on the food channel. I particularly liked the concept of how they want to offer the quality and experience of fine dining, but at affordable prices. Our next stop was at Fugetsu-Do. A family run confectionary in Little Tokyo with a long and distinguished history. 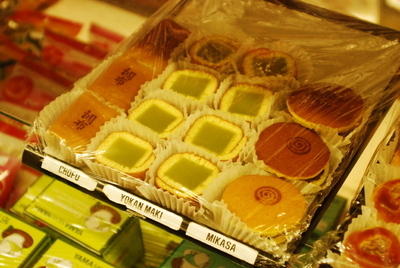 The sell a variety of wonderfully great tasting treats but are world famous for their Manju and Mochi. We got to sample some of Mochi and then moved on to our final location of Oiwake restaraunt. At Oiwake we got to talk to the manager of the restaurant who has worked their for 20 years. He gave us some history as well as overview of Oiwake. We then got miso soup, edamame beans, tempura and california rolls which where all very delicious. 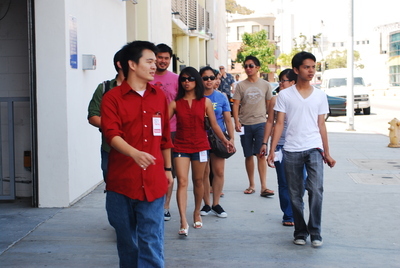 That would conclude the tour, it was 2 hours that seemed to have went by very quickly, overall it was a great experience, I got to meet new people, try new food as well as walk around and experience Little Tokyo. I would recommend this to others. If you are interested in participating in a tour check them out here at Six Taste, as well as look for them on Facebook Twitter,, and Flickr.